Increasing our community’s competitiveness for U.S. Department of Housing and Urban Development funding. 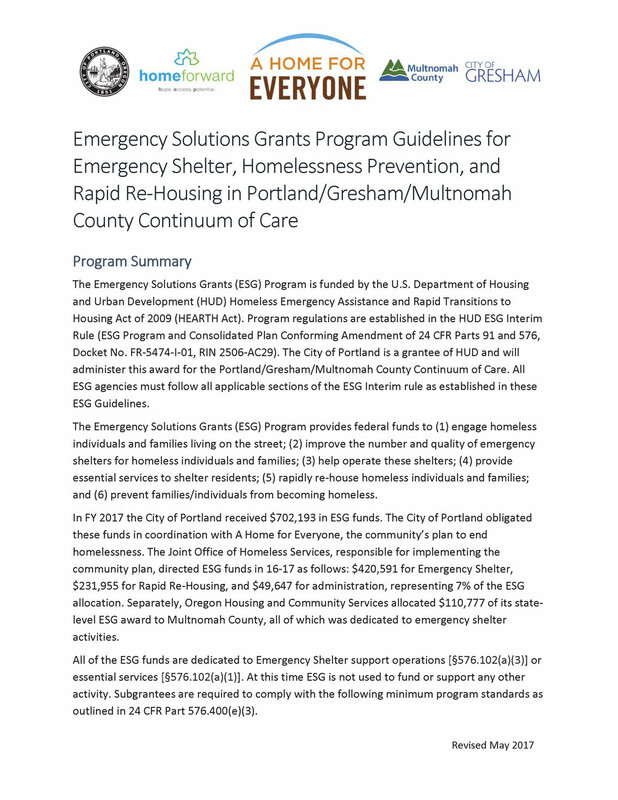 A Home for Everyone (AHFE) hosted a series of five community dialogues from Jan. 26-29th, 2016 to develop draft guidelines for the program areas of Emergency Shelter (ES), Transitional Housing (TH), Permanent Supportive Housing (PSH) and Rapid Rehousing (RRH). The sessions were facilitated by staff from CSH, a national housing policy agency, and were conducted in a “fishbowl” discussion format. Participation ranged from 55-75 people per session, with a total of 86 pages of notes taken and incorporated. There was a wide range of participation from community partners – service providers, persons with lived experience of homelessness, colleagues from business, health, faith and mainstream services. Representatives from communities of color, including culturally-specific agency staff, participants of color with lived experience of homelessness and jurisdictional staff, were involved in the process through direct participation in the community dialogues and in meetings with culturally-specific agency staff following the dialogues. Information and feedback from the community dialogues and meetings was incorporated into the final guidelines. The work of developing guidelines was based on AHFE performance goals, values and priorities, as set out in our AHFE plan and the work of the AHFE Coordinating Board subcommittees.